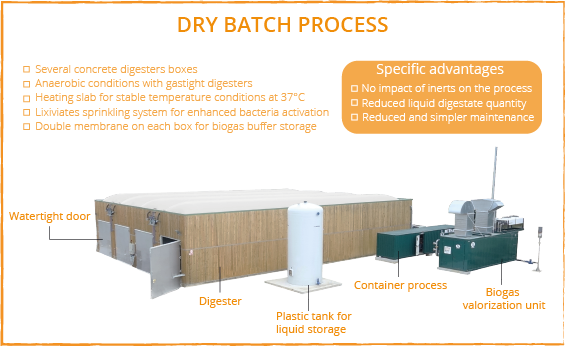 Naskeo is expert in designing, constructing and commissioning biogas plants under the technology called “dry batch process”. 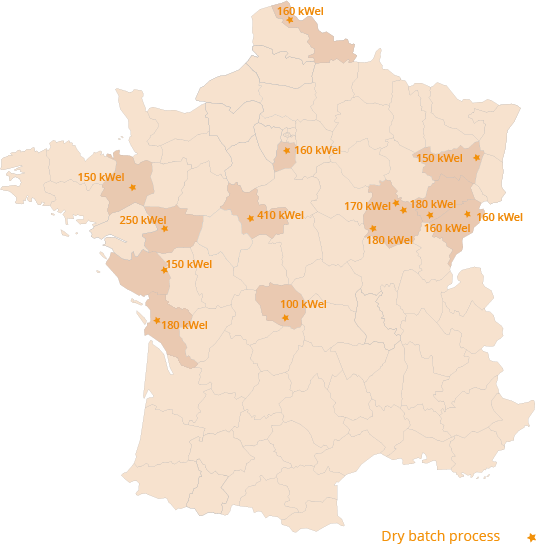 This technology is dedicated to feedstock mix higher than 28% DM (dry matter). Wastes are incorporated into several digesters boxes during 6 to 8 weeks. Each digester is gastight and heated for stable temperature conditions at 37°C. Lixiviates are sprinkled in the digesters for enhanced bacteria activation. 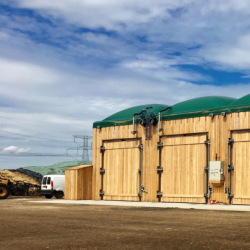 The biogas produced is stored within double membranes on each digester and then sent to the valorization unit (CHP or upgrading unit). The continuous biogas production is ensured by filling the digesters regularly.